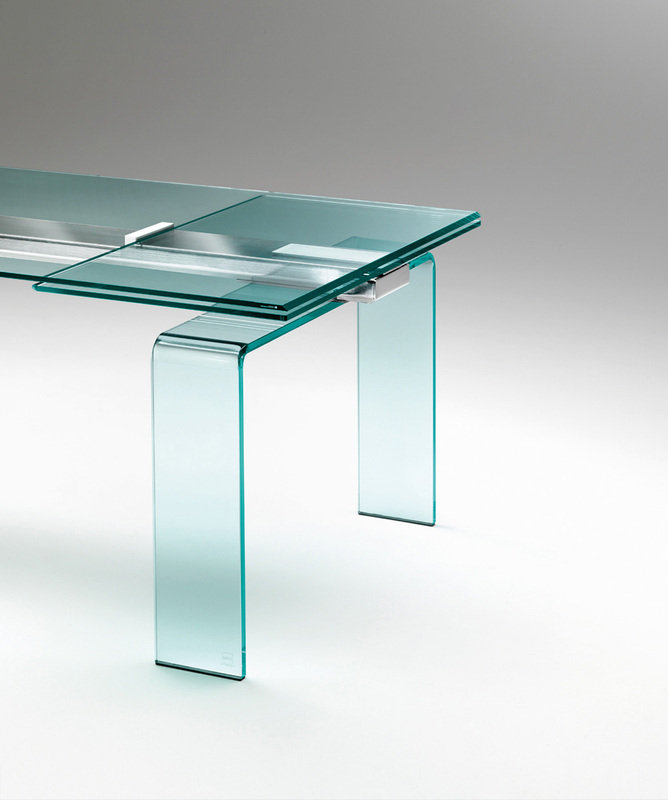 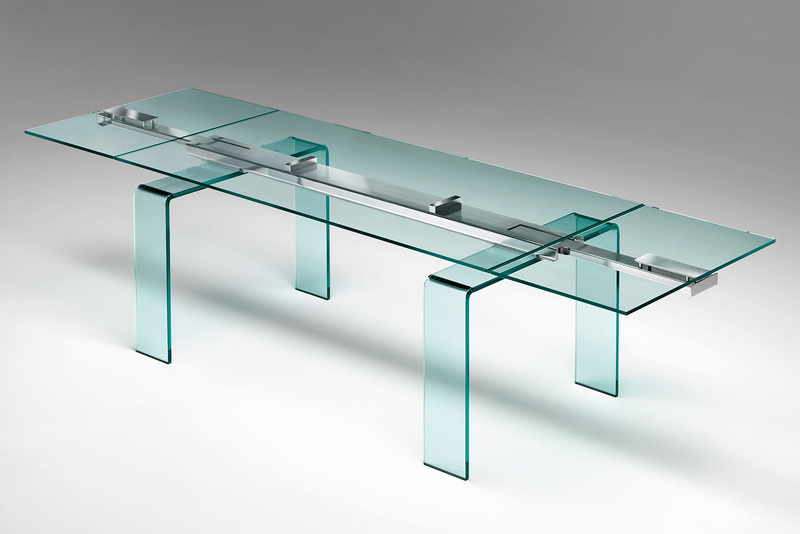 Extensible dining table with detachable legs in 19 mm curved transparent glass. 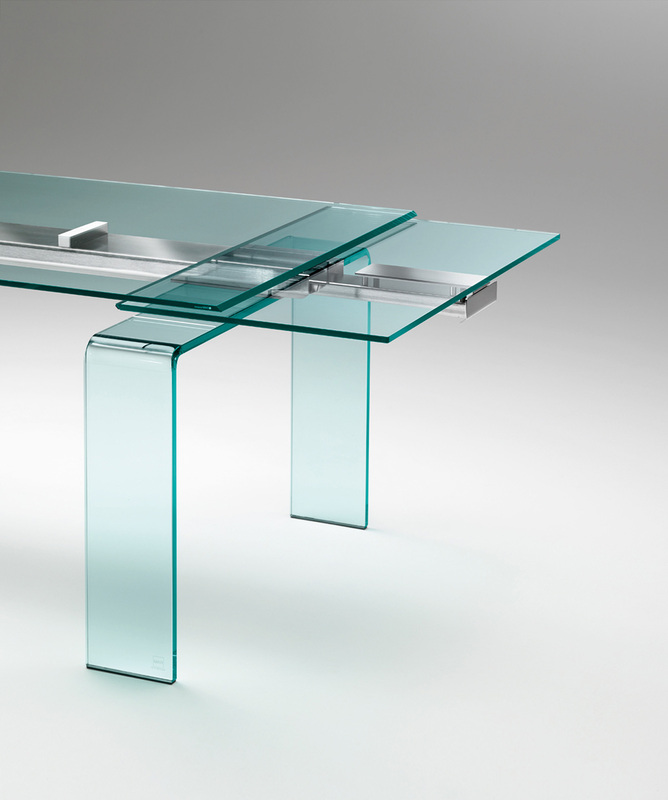 Top and extensions in 12 mm transparent glass. 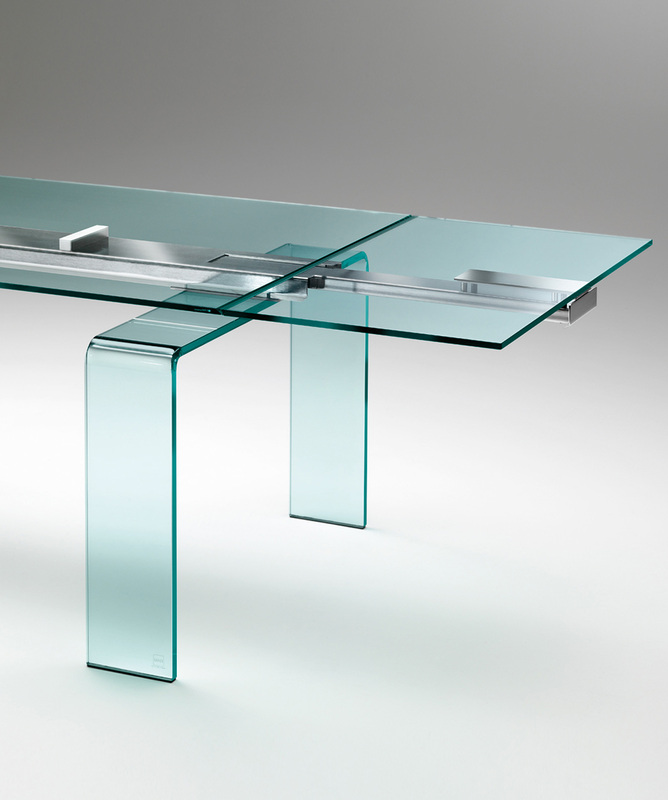 Extension system comprising a central aluminium bar in mattblack and satined chrome finishes.